The Firebox M-Series is aimed specifically at midsize and distributed businesses. Running the same Fireware OS across all models these new devices are managed using the same tools including WatchGuard System Manager, the management servers, and WatchGuard Dimension. These rack-mount devices give you enterprise-grade security without the price tag. Unsure which model to choose? Call us on 03300 881114 to discuss your requirements. 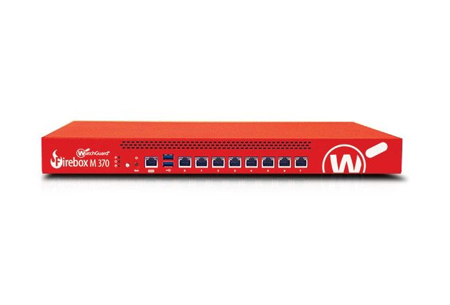 Trade In any manufacturer's security product to WatchGuard Firebox M370 with 3-yr Total Security Suite including WebBlocker, Application Control, spamBlocker, Gateway AntiVirus, IPS, Reputation Enabled Defence, Network Discovery, Data Loss Prevention (DLP), Dimension Command, APT Blocker, DNSWatch, Threat Detection and Response, and Gold Support. Trade in any manufacturer's security product for a Firebox M440 with 3-yr Total Security Suite including WebBlocker, Application Control, spamBlocker, Gateway AntiVirus, IPS, Reputation Enabled Defence, Network Discovery, Data Loss Prevention (DLP), Dimension Command, APT Blocker, DNSWatch, Threat Detection and Response, and Gold Support. Also includes free onsite setup and configuration with one of our in-house engineers. 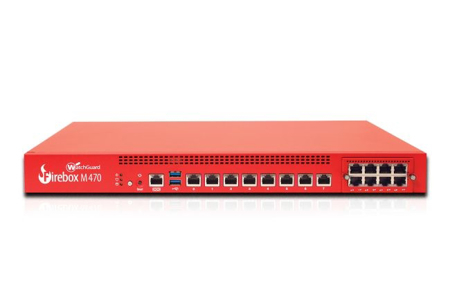 Trade In any manufacturer's security product to WatchGuard Firebox M470 with 3-yr Total Security Suite including WebBlocker, Application Control, spamBlocker, Gateway AntiVirus, IPS, Reputation Enabled Defence, Network Discovery, Data Loss Prevention (DLP), Dimension Command, APT Blocker, DNSWatch, Threat Detection and Response, and Gold Support. 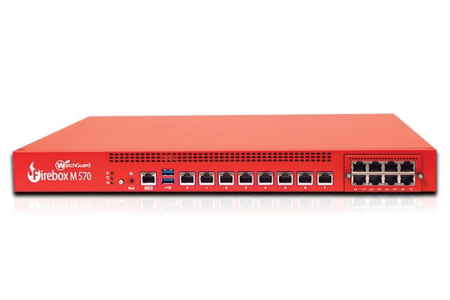 Trade In any manufacturer's security product to WatchGuard Firebox M570 with 3-yr Total Security Suite including WebBlocker, Application Control, spamBlocker, Gateway AntiVirus, IPS, Reputation Enabled Defence, Network Discovery, Data Loss Prevention (DLP), Dimension Command, APT Blocker, DNSWatch, Threat Detection and Response, and Gold Support. 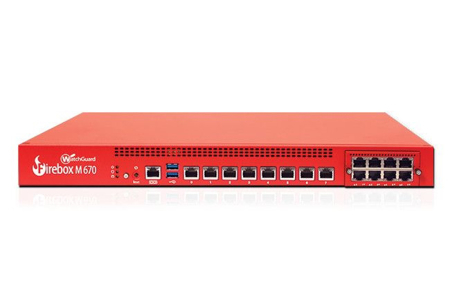 Trade In any manufacturer's security product to WatchGuard Firebox M670 with 3-yr Total Security Suite including WebBlocker, Application Control, spamBlocker, Gateway AntiVirus, IPS, Reputation Enabled Defence, Network Discovery, Data Loss Prevention (DLP), Dimension Command, APT Blocker, DNSWatch, Threat Detection and Response, and Gold Support. 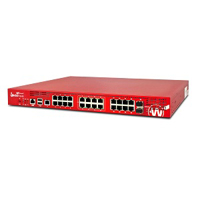 Trade In any manufacturer's security product to WatchGuard Firebox M270 with 3-yr Total Security Suite including WebBlocker, Application Control, spamBlocker, Gateway AntiVirus, IPS, Reputation Enabled Defence, Network Discovery, Data Loss Prevention (DLP), Dimension Command, APT Blocker, DNSWatch, Threat Detection and Response, and Gold Support. Trade In any manufacturer's security product to WatchGuard Firebox M370 with 3-yr Basic Security Suite including WebBlocker, Application Control, spamBlocker, Gateway AntiVirus, IPS, Reputation Enabled Defence, Network Discovery and Standard Support. 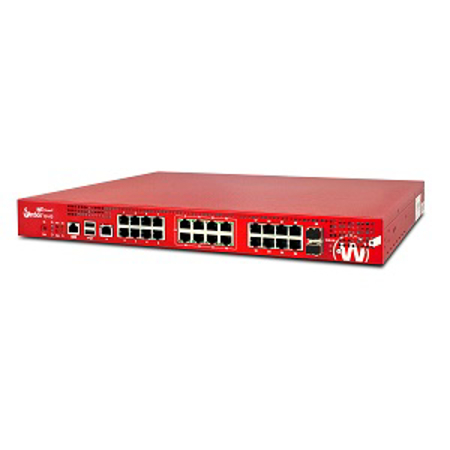 Trade in to WatchGuard Firebox M440 including the 3 year Security Suite. Trade In any manufacturer's security product to WatchGuard Firebox M570 with 3-yr Basic Security Suite including WebBlocker, Application Control, spamBlocker, Gateway AntiVirus, IPS, Reputation Enabled Defence, Network Discovery, and Standard Support.